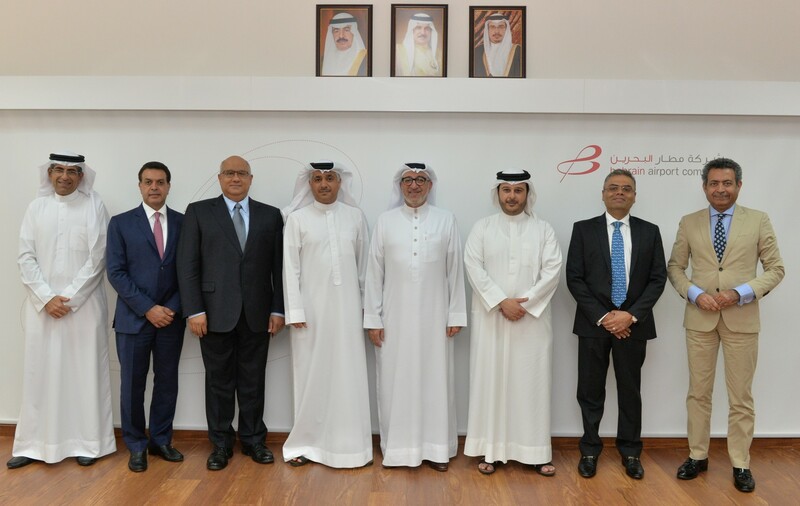 The Board of Directors of Gulf Air Holding Group (GFG), Bahrain Airport Company (BAC), and Gulf Aviation Academy (GAA) held their first meeting of 2019 under the chairmanship of the Group Chairman, His Excellency the Minister of Transportation & Telecommunications, Eng. Kamal bin Ahmed Mohammed, at GFG’s headquarters in Muharraq. Following the revision and approval of the minutes of the previous meeting, the board discussed important items scheduled previously, including final reports on 2018 and the budget proposal for the coming year, in addition to Board Committee reports. The Board also reviewed a report by BAC’s executive management on their strategic plan and its implementation in the next period, a very important phase in the new Passenger Terminal Building’s progress, as its various operations, systems and procedures will be subject to operational readiness tests. The Board stressed the importance of this next stage in light of the Kingdom of Bahrain’s aviation sector experiencing a rapid growth in both aircraft traffic and passengers, with passenger numbers exceeding 9 million and aircraft departures and arrivals adding up to 96,000 in 2018, according to Civil Aviation Affairs statistics. The Board of Directors discussed GAA’s plans for expansion through the addition of modern equipment and the introduction of new aviation and logistics training programmes aimed at achieving GFG’s vision and GAA’s strategy for the development of the logistics training in the Kingdom. In this context, His Excellency the Minister of Transportation and Telecommunications, Eng. Kamal bin Ahmed Mohammed, Chairman of Gulf Air Group, expressed his sincere thanks to the Board members for their dedicated efforts in promoting initiatives to develop the civil aviation sector in Bahrain. He said that the efforts of companies operating in the aviation sector need to be consistent with the Kingdom’s economic development plans by helping to increase the government’s non-oil revenues. He praised members of the executive management on their efforts to prepare the new building for the planned operational readiness tests, adding that this represents a very important stage and a major achievement for the Airport Modernisation Programme (AMP).